The word sounds innocent enough, but mudballs indicate problems in your filter bed. These solids accumulate within a filter and agglomerate into a ball of solids combined with the filter media. These masses block the passage of water, causing higher velocity filtration and uneven distribution. Ultimately, they affect filter performance and effluent quality, while shortening filter run lengths—all signs of problems. If a media is inadequately backwashed, thin layers of solids will coat and build up around individual media grains. During operation, increasing pressure drop across the media bed compresses the particles, which can then stick together. Polymer and other sticky agents will accelerate the ball’s growth. As the mudball grows, it will sink down into the media bed, eventually stopping at the support gravel. 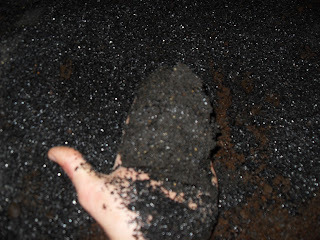 Mudballs can also form in filter dead zones—any areas that are not effectively covered during conventional backwash. When mudballs achieve critical mass and hydro-dynamic shape, they can’t be backwashed out of a filter. Tonka’s Simul-Wash™ process is recommended for media filters in order to prevent the formation of mudballs. By simultaneously applying air and water at a sub-fluidized rate, an aggressive scouring action occurs known as collapse pulse. This powerful backwash method creates momentary formation of air pockets where media collapses, causing a pulsation within the bed, aggressively scouring and cleansing the media. Simul-Wash™ enables a sustained air and water wash, during which a dual media bed will completely intermix into one homogeneous depth of media. This provides the most effective media cleansing, ensuring that the entire filter bed is washed, eliminating all dead zones and preventing the formation of mudballs. This process of collapse pulse has been substantiated by independent research to provide the most effective filter backwash, greatly out-performing water-only, surface wash, and air scour followed by water methods. In addition to mudball prevent, Simul-Wash™ also reduces backwash water 50% and has a Media loss guarantee of less than one inch per year.